I would like to copy an area into a transparent area in the same image using GIMP. I have drawn a rectangle around the area that I want to copy, then I select "Edit" -> "Copy visible". Then I clear the selection by left-clicking somewhere else on the image. Then I draw another rectangle where I want to paste the copied area and select "Edit" -> "Paste". What I get is a half-transparent output instead of an opaque. How could I make the pasted area fully opaque? You either make a new layer (Ctrl-Shift-N) from the floating selection, or merge it ("anchor" it) in the active layer (Ctrl-H). 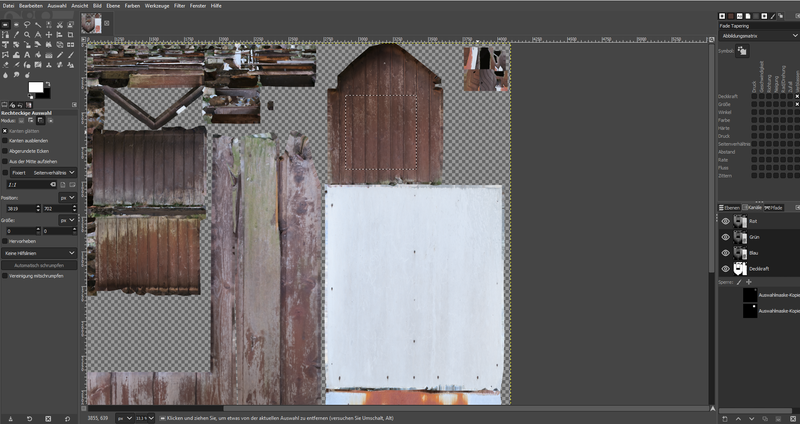 Without seeing your Layers list in the screen shot it is difficult to tell what is happening (partial opacity? 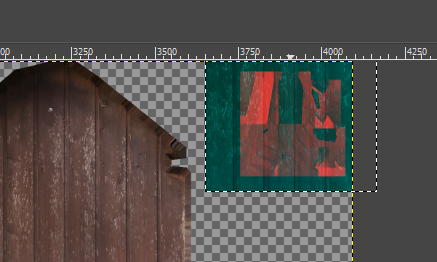 layer mode not Normal?). What surprises me is that your Red channel isn't selected in the Channels list (this explains the green tint). Not the answer you're looking for? Browse other questions tagged gimp or ask your own question.